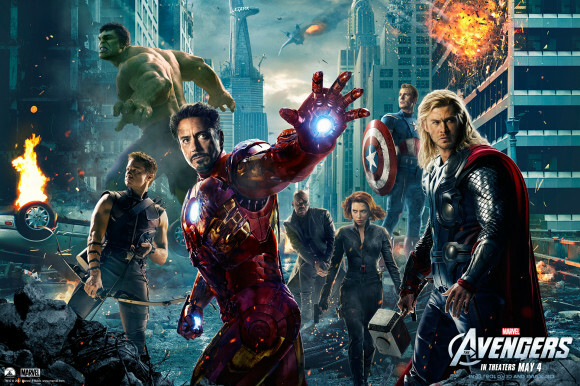 I, like many of you, am super stoked about Marvel's upcoming film, The Avengers! I am doubly stoked because it is coming out on my birthday! Makes a great day even better! And if I wasn't working, I would totally partake in the movie marathon the theaters are offering! I've been a fan of the Marvel Universe for as long as I can remember, and I've really enjoyed the films Marvel Studios has put out recently. However, there is a small problem - I still haven't seen all the "Marvel Cinematic Universe" they have created so far, which is what leads up to The Avengers! So I'm on a mission to correct that. In the next week or so, I'm going to watch. or re-watch, them all, and try and blog my thoughts on each film. I hope that for those of you who have seen the films, these posts will offer some good thoughts and discussion as you refresh your memory on the films before The Avengers. For those of you who haven't, perhaps these may be able to serve you by giving you some idea of what is going on (but perhaps you should contemplate the marathon). Let it begin!